Now I don’t know if before today I’ve ever actually eaten a Peep. 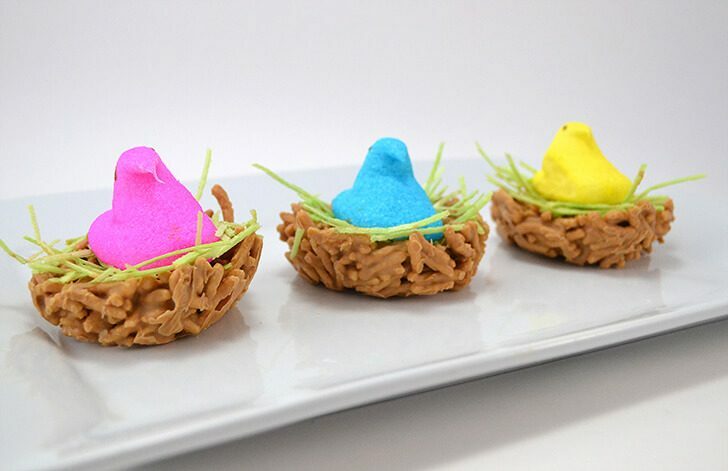 But every year I admire all of the pretty, bright colors so this year I decided to make a sweet, dessert treat with them. When I spied on the package that they are gluten free, I thought I’d give one a go. Now I had just read a caption to a photo about how somebody really didn’t like Peeps. Totally swayed by the opinions of others I just knew that I had screwed up, but I had already bought all of these dang things! I opened up the package of pink peeps and gave it a go and decided, they really aren’t half bad. They are really, really sweet and a little foamy which is kind of an interesting texture but I like them so yay, on with the plan! 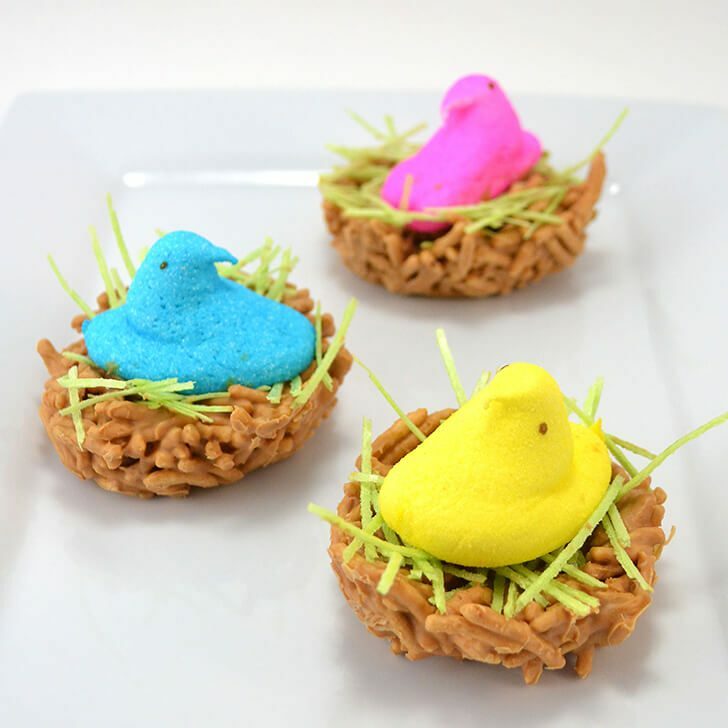 These little nests are super easy to make and, if I do say so myself, are totally adorable. I mean, look at them!!! ADORABLE! 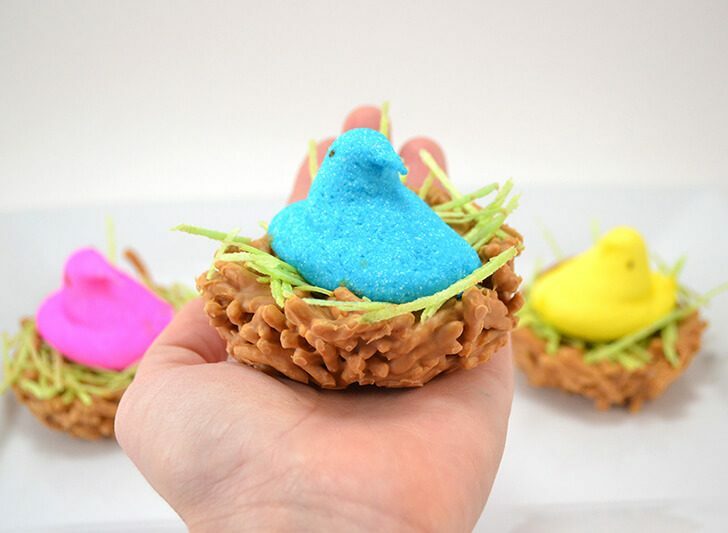 So next time you’re at the grocery store pick up a few of these things and get ready to make sweet little desserts that, even if your guests don’t care for Peeps, will still have a super tasty and amazing little sweet snack! 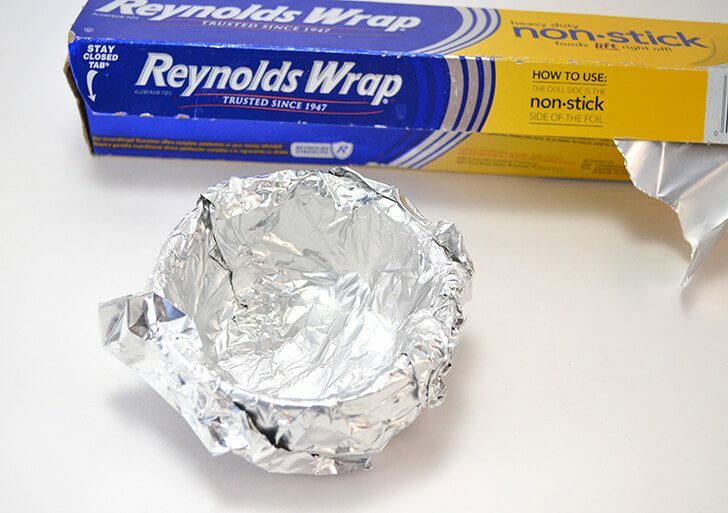 Prepare your small bowl by lining with aluminum foil that is non-stick. 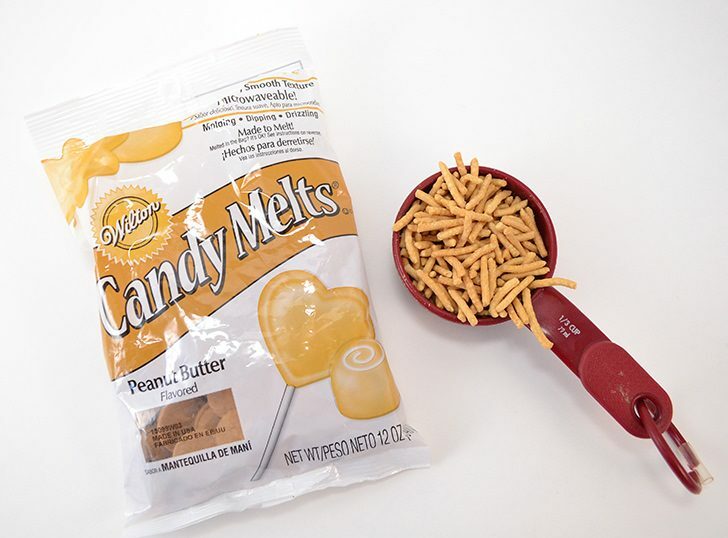 In a cereal bowl add 16 peanut butter flavored candy melts. Microwave in intervals of 15 seconds, stirring in between until most of the discs are melted. When just a few bits remain give a good stir to try and melt everything without more heat. If you overheat it turns into a big ol’ clumpy mess. Add 1/3 cup of chow mein noodles (these are not gluten free, FYI) and stir until well coated. 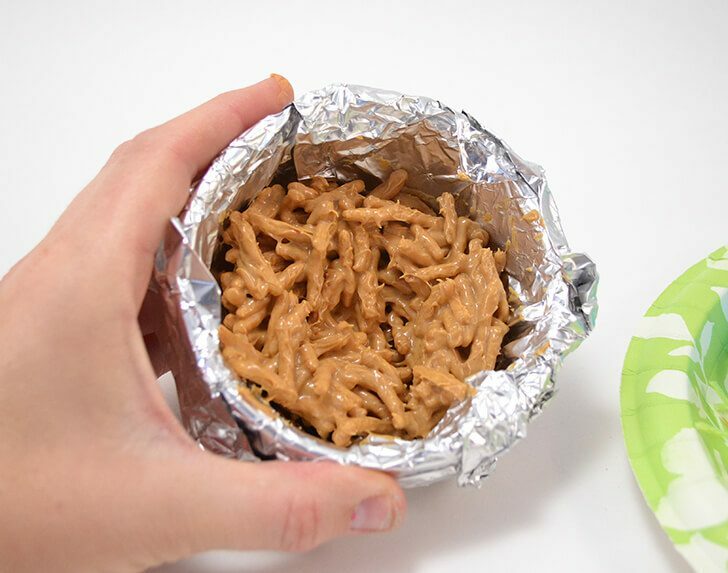 Loosely push the covered noodles into the bottom of the foil lined bowl. 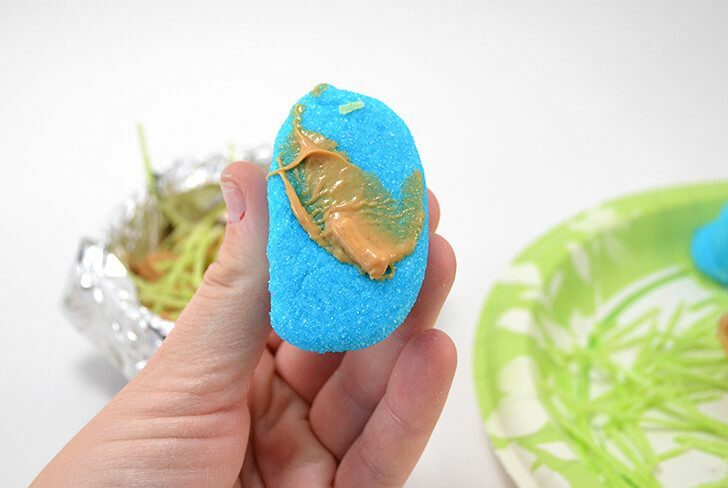 While the peanut butter is still wet, add 1-3 inch pieces of edible Easter grass to the top and lightly push in. …and push down into the middle of the nest. 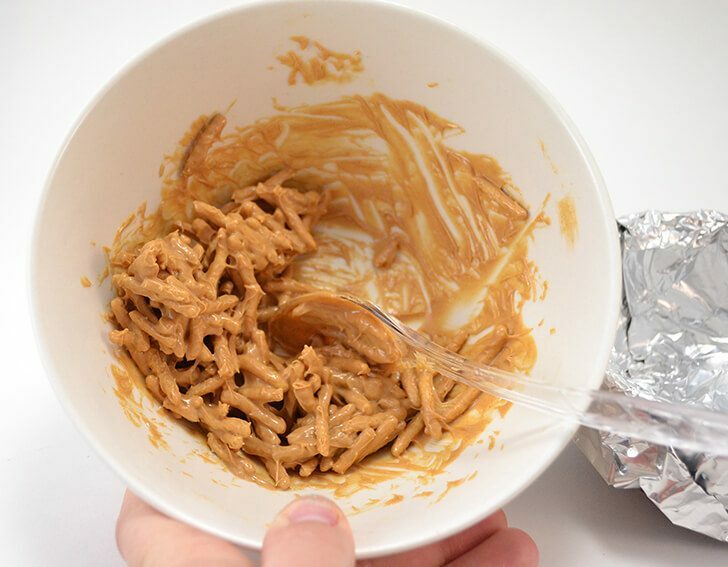 Allow to sit 5 minutes, then remove the foil (the nest should hold shape though it is not yet set) and place in the fridge for 10-20 minutes or until the peanut butter hardens and the nest fully sets. 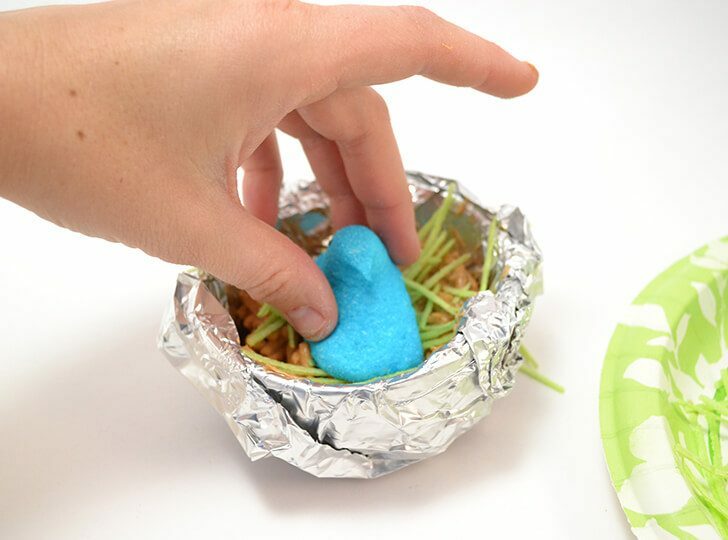 Gently remove from the foil and you’ve got one fantastically sweet and very pretty bird’s nest to enjoy! 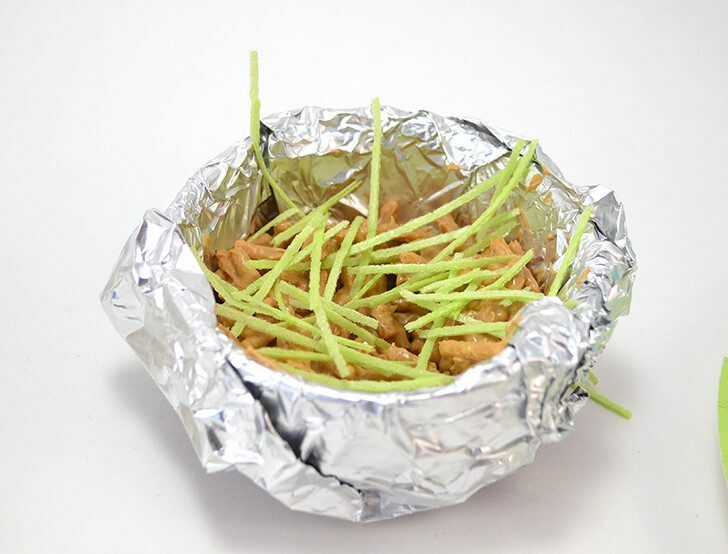 Now I quite literally made my nests one at a time, largely so that I could keep reusing the same bowl over and over and limit my number of dirty dishes. 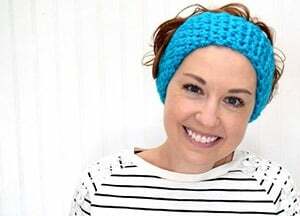 This made this little project take quite a bit of time, but you can totally do this in a larger bowl and implement many more small bowls to get this done in the fraction of the time. Just keep the ratio of 16 meltable wafers to 1/3 cup of chow mein noodles. Now even if I can’t eat these lovelies myself (darn gluten) I have it under good authority that these are pretty dang tasty, even if the edible grass doesn’t actually have much flavor. But the added appeal makes it so worth it! 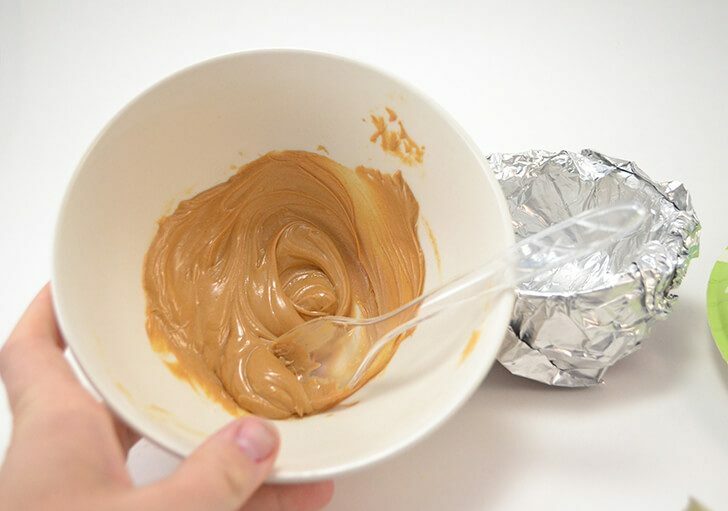 If you have peanut allergies to worry about, you can always use any color of chocolate melting wafers from Wilton, instead. 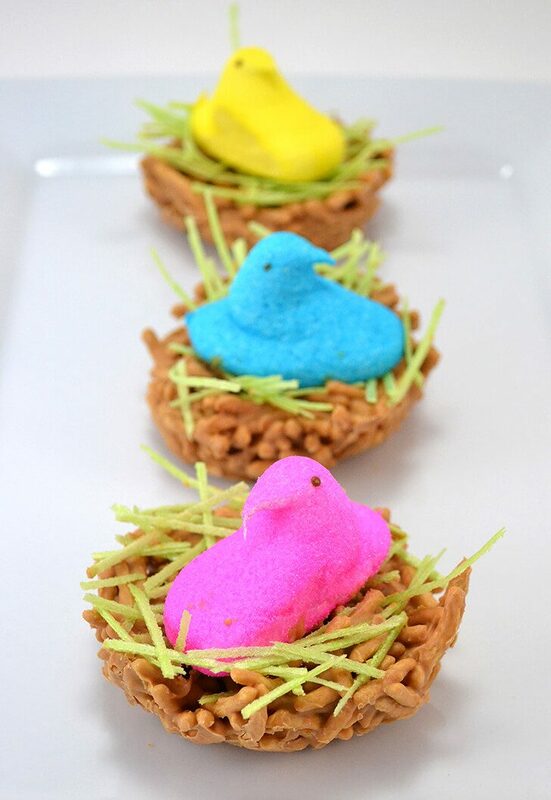 I think these cuties could even make the sweetest place settings for Easter lunch. What do you think? Who says Easter is always pastel? 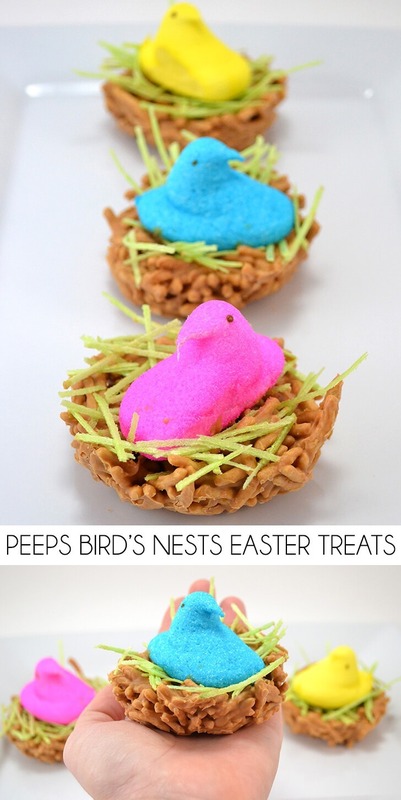 Check out these BRIGHT Easter ideas! Ooh. I have a little boy that LOVES butterscotch. Thanks for the tip, Pat!